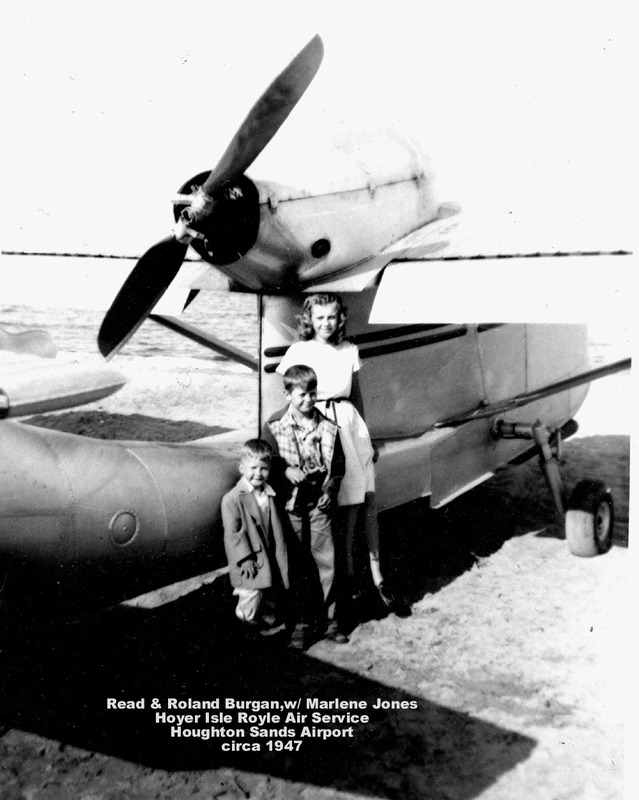 From the late 1920's, until about 1960, the Isle Royle Sands was the local airport for wheeled aircraft, and for a period, from the late 1930s to the opening of County Memorial Airport (CMX) at Oneco in 1959, was the County Airport for passenger traffic. 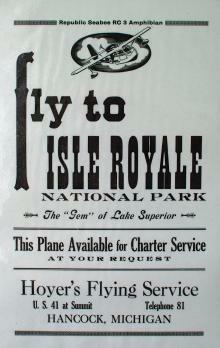 What is less know, up until the present, is that the adjoining Portage Waterway was also a Federally designated seaplane landing base, on both sides of the Portage Lake Lift Bridge (and is still in effect at the present, and used on occasion for seaplanes, mostly serving Isle Royle National Park. 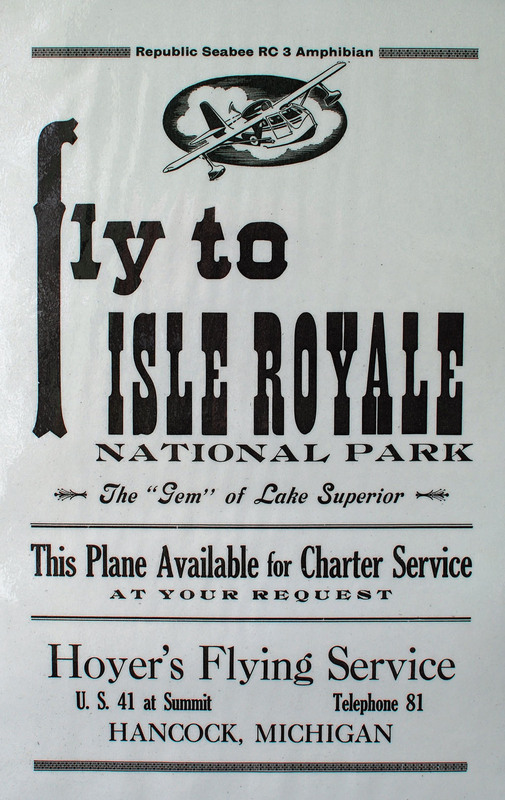 One of these, the first in fact, was begun by WWII Navy pilot Ed Hoyer, of Hancock, who, returning from the War, started up the first seaplane service to the Island, using the Sands as his headquarters. 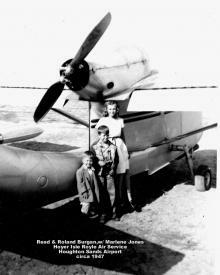 Three passengers,, Read and Roland Burgan, of Laurium, and cousin Marlene Jones, of Detroit pose here at the Sands Airport with the aircraft, circa 1947. 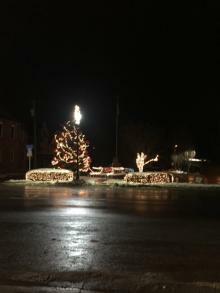 Ed Hoyer also operated a gas station on North Lincoln Drive, and was also very active in the Coast Guard Auxialliary.